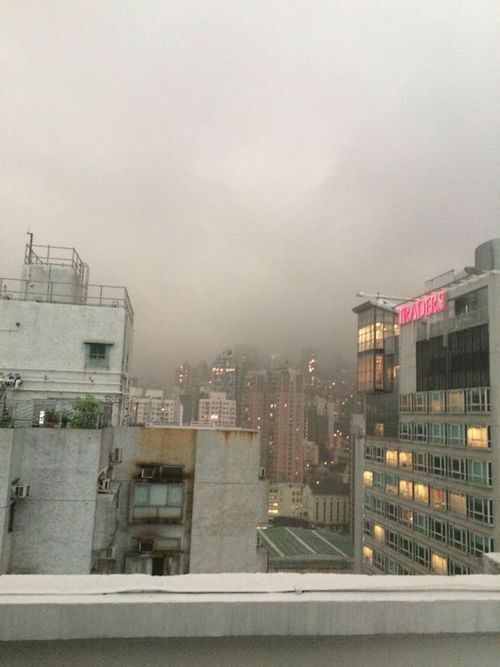 Firstly I experienced my first crazy Hong Kong weather storm. 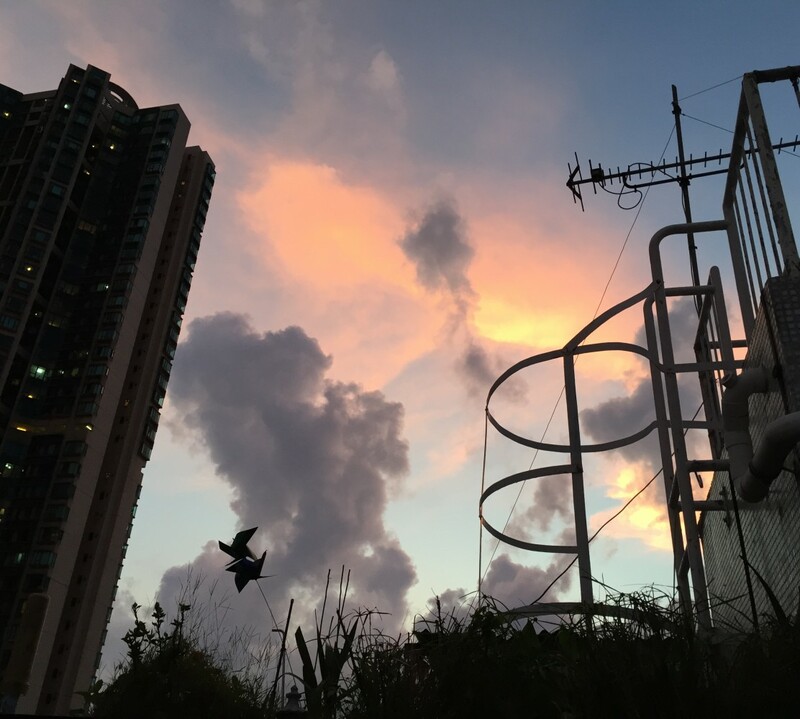 Every so often here the observatory issues severe weather warnings, and the weekend that passed was my first black rain experience. Black rain being the hardest and heaviest storm warning before you go into things like typhoons (I’ll be cacking my pants when that happens!). I can only say how happy I was to be indoors at the time, because it was seriously crazy! The hail stones were the size of golf balls and hurtled to ground with such force that they broke the roof of a shopping centre! Yes really, the water all caved in, luckily no one was hurt. My friend Joey’s bus was diverted because of trees in the road and it took her ages to get back home to safety. Although all the madness of the storm was unfolding, there was something kind of cool about being able to watch it from the comfort of your own home. Nothing like a good to storm to wake you up and remind you of that fear you felt as a kid. I just felt sorry for people who were caught out in it. actually that reminds me, what is all this I have been reading about London smog? I thought the bad air quality was the sort of thing that was going to get me but so far no sign of it over here. Looks bizarre. My new job has been going well! I’ve already taken part in one beer tasting (staff training obviously) and heading to a second tonight. I need to know what I’m selling of course. 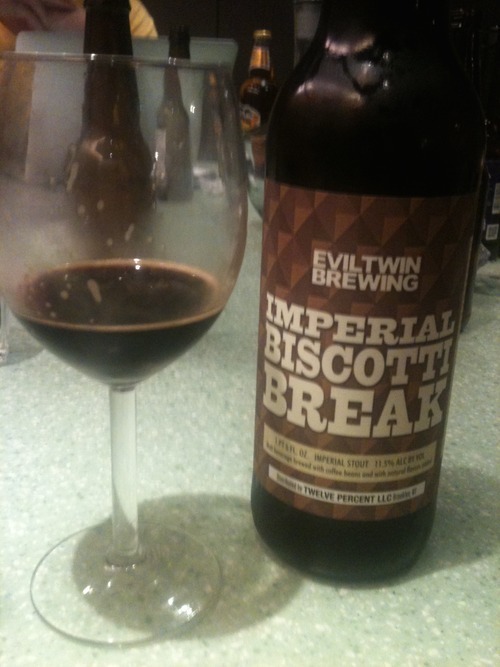 I totally fell in love with a stout by Evil Twin called Imperial Biscotti Break. God it was like heaven, I could have drank it all evening. It was quite chocolatey but not in a horrible gimmick way, in a very very tasty and good way. I’ve bought a bottle and going to open it on a special occasion. I must admit I’ve been under the weather recently so I’m hoping that I won’t get taken down too quickly in the tasting tonight. 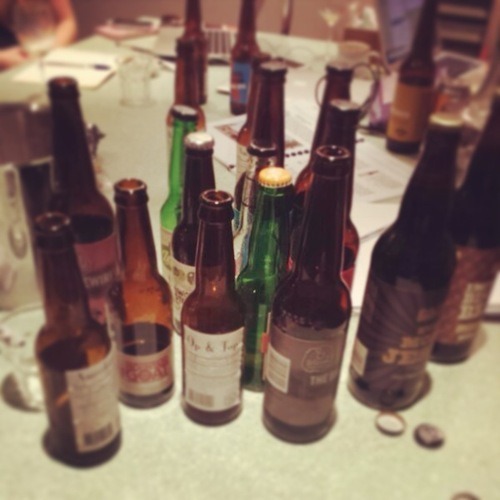 We tasting beers from Jolly Pumpkin, Little Creature and Belhaven to name a few. 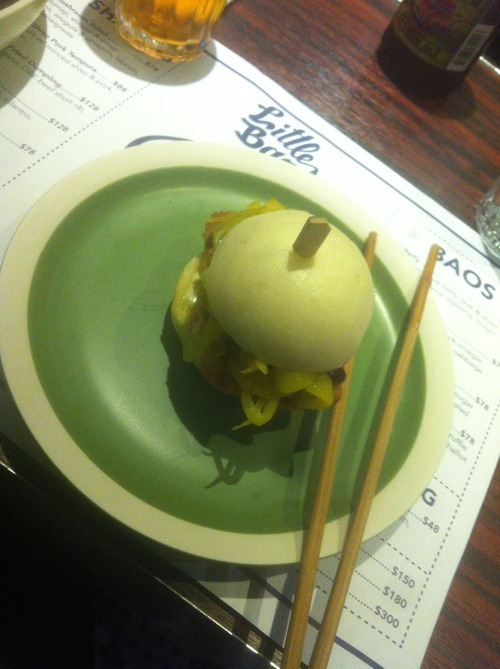 Talking of drinking the good stuff, we also went to a really cool restaurant the other night in Sheung Wan called Little Bao. This was hipster food paradise! Basically the shop is seriously small and the only place to sit is either on bar stools around the edge of the shop or around when the magical cooking happens. Basically instead of batches (okay buns baps whatever) you have the bao, and inside there is a variety of amazing filling I had a fish bao and Joe had a spicy chicken one. 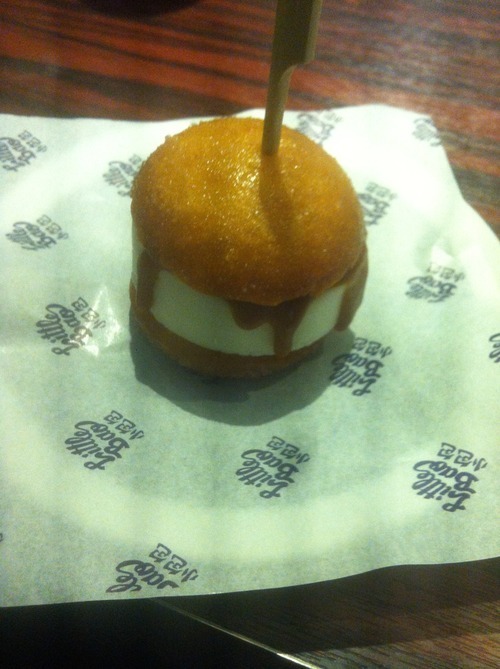 The best bit though was desert… Deep fried mini bao with slice of slated caramel ice cream in the middle – hello! Will if you make it out here to Hong Kong this place is definitely right up your street.